It seems like Bush believes that by avoiding the use of words like recession or torture, that somehow they aren’t happening. 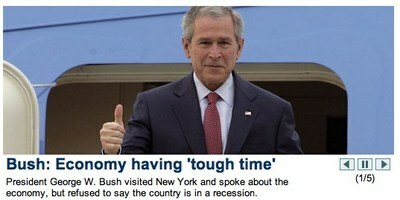 We aren’t in a recession, but we are having a “tough time”. We’re not torturing people, we’re using “enhanced interrogation techniques”.